They might be … robots. Yipes, they might be Cylons. Cylons look like us now! Run! 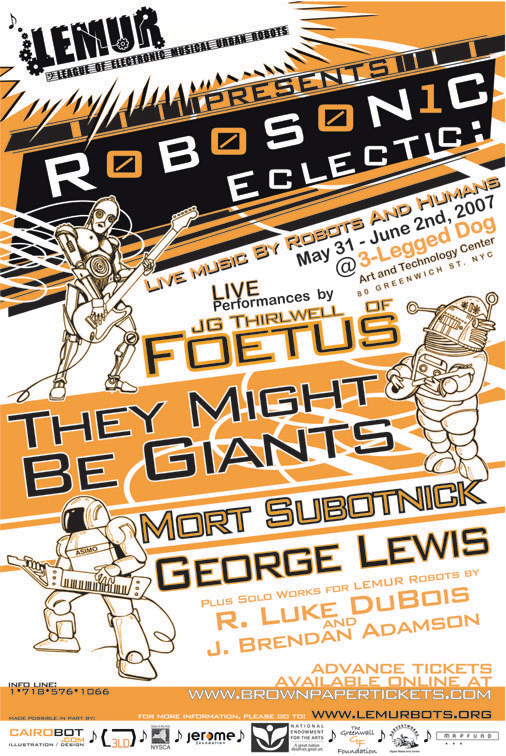 Robosonic Eclectic: Morton Subotnik, They Might Be Giants, and robotic musical instruments on the same bill? That … doesn’t happen very often. But it does happen this weekend, starting tonight. 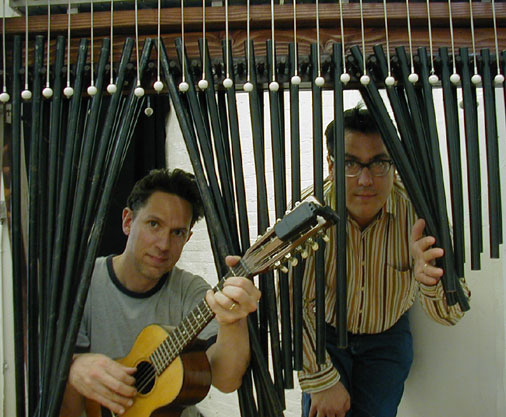 Lemurplex, incidentally, is a terrific place to go learn this stuff if you can find a way to come to New York — not only musical robotics, but music tech in general. See also Harvestworks, which regularly has people in from other lands around the world for residencies / learning / etc. Not everything happens in New York, of course; I hope to put together an up-to-date list of educational venues beyond academia around the globe soon.